During good times and bad, there may come a time when you need to have something like glue on hand. There are a lot of benefits to making your own glues at home. Glues can be mixed in small batches so you don’t have to store glue for extended periods of time. If you don’t use it often, it can be dried up and unusable. You can make some glues that can stay sealed and be used for up to a year. You have some control over the ingredients so you know exactly what you are putting into your home. Knowing how to make your own can make it easier to repair and put things together during hard times. Cheap and easy to find goods may not be as available which makes repairing what you have a choice you are more likely to make. Gum Arabic is an ingredient you see in a lot of foods but when you add a little glycerin and water you have a fantastic super glue that is capable of mending your pottery or plastics. To make, combine 3 tbsp gum arabic, 1 tbsp glycerine, and 1/2 teaspoon water in a bowl. Pour into an airtight container and use as needed for up to 1 year. Simply glue, clamp if needed, and allow 24 hours before using and you will be amazed what this glue achieves without some of the noxious odors and volatile organic compounds that can be found in commercial super glues. A simple paste style glue can be made out of flour and water. This is fine to use for paper projects and typical kid crafts. Take flour and water and mix together to make a cream like consistency. One of the best things about this paste is that it is so safe for even the youngest kids to use. To make this glue you need cornstarch, light corn syrup, and white vinegar. Add ¾ cup water to a saucepan, ¼ cup cornstarch, and 1 tsp white vinegar and stir until smooth over medium heat until thick. Take the container you are using for glue storage and add ¼ cup of cornstarch and ¼ of water and blend until smooth. Add the mixture in the saucepan into the container and stir as you do it until everything is smooth. Let cool off until room temperature is reached and then you are good to use it or store it in an airtight container for later use. If you have ever wondered about the adhesives used on stamps and envelopes, well here is a recipe where you can make your own. Boil vinegar in pan and add other ingredients. Brush on to items and let dry. You can then lick it or wet it later to activate the glue. Optional: Clove Oil if you are going to store small jars of this glue. This recipe makes a lot of glue but you can easily save it and preserve it in small mason jars in the 4-8 ounce size range. Duct tape is fabulous stuff and can take care of your sticking together and patching things up needs in some case. While glue won’t repair a torn vinyl seat, duct tape can come to the rescue. There are all kinds of fun patterns and colors of duct tape out there so the repair can sometimes be made to match. A lot of the glues I have given recipes for are not made for high strength applications. The super glue recipe is the strongest by far. Of course a lot of applications you don’t need a very high strength glue to get the job done. There is something to be said for glues that are completely non toxic. Flour and water may get a bit dirty setting out but if a child eats some it is probably not going to do any harm. Don’t use glue that shows signs of being past its prime. Clumps and flakiness are signs you need to mix up a fresh batch and toss the old one out. Allow curing time. When glue is allowed to dry for a longer time it will set up more solidly. Of course this only matters for when you are gluing objects that are going to be subject to stress. For pottery and delicate repairs you should allow at least 24 hours before moving. Clamping two objects together while gluing can form a stronger bond. This is commonly done when gluing wood. If gluing something again, make sure to clean off all the old glue first for a better bond. Leaving remainders is tempting if there is a lot of glue but save yourself the frustration later of having the bond fail and use a razor knife or scraper to get rid of big parts. Sand paper can be nice to have for removing the last little layer. Rough up surfaces. Having more surface area for a bond can be very helpful when trying to make it strong. This is also key when gluing really smooth objects together. Sand paper is ideal but anything you have is better than nothing. Make sure to use the right glue for the job. Paper glue is not going to be like a proper ceramic glue. Not everything is a candidate for repair by gluing. A lot of the unfortunate trouble that is caused by gluing projects occurs when something that is either beyond repair or that has a lot of stress put on it. Glue is only so strong so things that are under a lot of stress should be glued with caution. 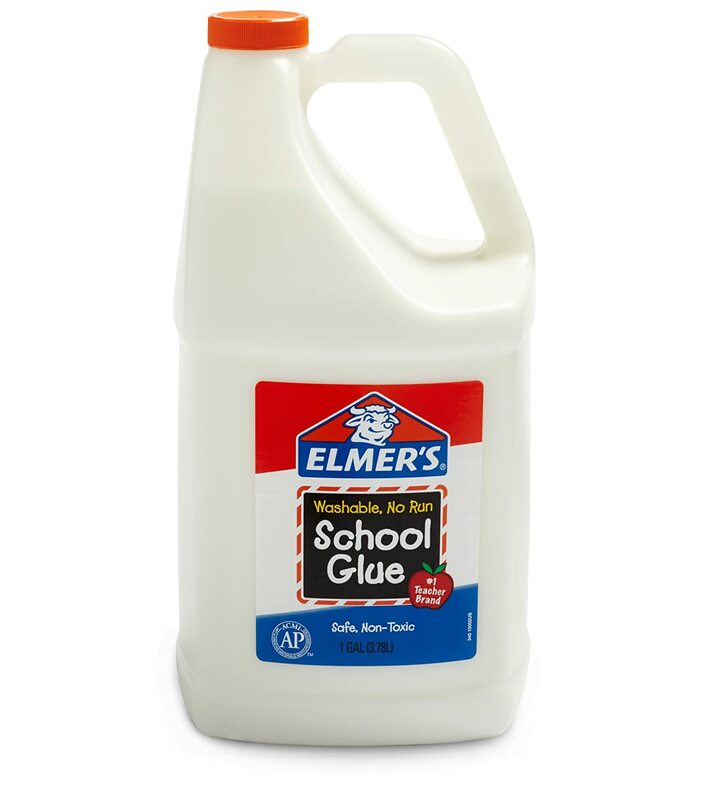 Good old Elmer’s School Glue comes in a gallon container for a mere $11. It stays good indefinitely if not opened so you could definitely afford to put back a gallon or two for when you need it. You can use it to refill smaller containers. Keeping the larger container more sealed will keep it good longer. I found that Amazon has an excellent deal on wood glue in small containers so you don’t have to feel bad about opening up a large container for a minor repair. This can be very handy for furniture repairs during SHTF or just regular life. I have to say that there are a lot of situations where Velcro may be a better alternative than glue. Velcro comes in various forms with some of it being rated to stick to itself. The stronger Velcros are pretty amazing and very affordable. I have to say that sometimes the adhesives that come with them are lacking a bit. While I know I just said Velcro is a viable alternative to glue, it can be made that much better by using some strong glue to attach the backing. Using both can result in a lot of holding power that can stand up to more significant stress loads. While this is something you definitely have to buy, epoxy can form a much stronger bond than a lot of traditional glues so it can be good to have when you have a particularly tough job to take on. This is usually a two tube concoction that you have to mix up and use immediately but there is nothing like it out there. There are a lot of recipes out there that include milk as an ingredient. This makes a fine glue but do realize that it does not keep. Don’t mix up more glue with milk in it than you can use over a few days. If you forget and it starts to smell just toss it. You don’t want that odor getting into things. If you have ever been kind of horrified at the odors of some glues then you might be pleasantly surprised what homemade glues have to offer in terms of low or non existent odor. You could even add some essential oils to them to create a much more pleasant gluing experience. Ingenuity is a wonderful thing. We are curious to hear any glue recipes you might have or stories about what you did when you needed some glue but had to improvise with what you had on hand at the time. What alternatives have you used for when you needed to glue something? I have to wonder what differences there are between name brand glue and store brands? 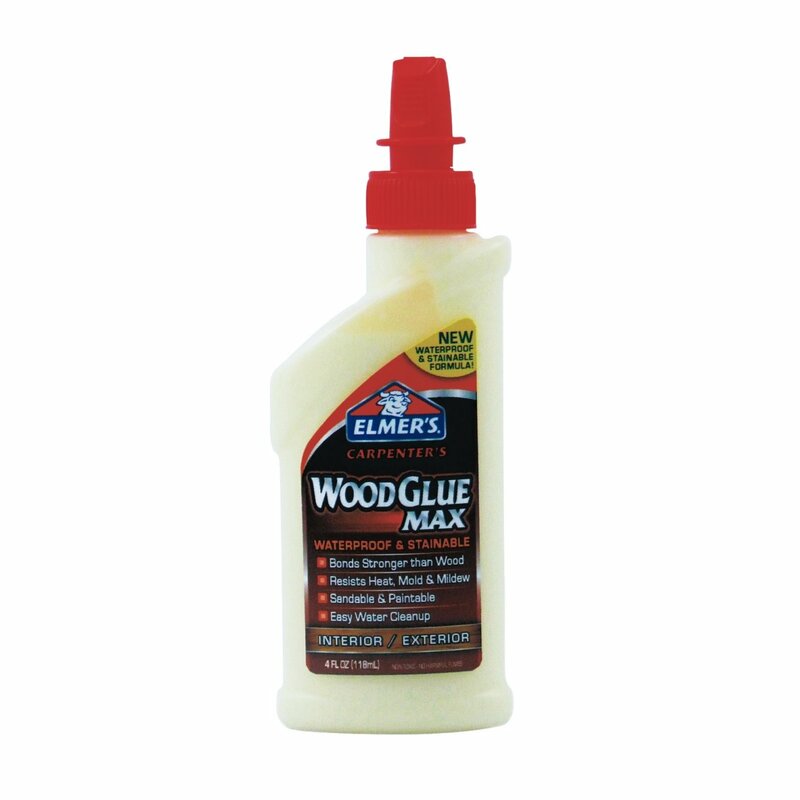 Amazon has their version of glue sticks that are less expensive than Elmer’s but is it enough to be worth a quality difference? Did I miss it? Egg white can make a useful glue. I would love to make a printout of this for future use…It seems to me that you had a print option in the past. Am I wrong? was it just Mother Earth? I’m going to try anyway…warts, ads and all! Great post. I often save articles from the Net. The easiest way I have found is to highlight and copy what you want [i do the article, then the wed address, then any Comments] and paste it onto Word. Then I CTRL-A and change the fonts to Arial, since I hate Times New Roman, change the size of the font [usually 12], change the spacing to 1, and then Delete space after paragraph [last 2 are under Line and Paragraph Spacing in the paragraph section]. These steps shorten the number of pages to store or print. Hope that helps. as a woodworker I know all too well what can happen to glue. many things of the micro sized world find it a delightful lunch and are quite happy to make it their home when you have a large bottle it isnt enough to put the cap back on I found a little trick with a balloon and a straw that provides an airtight seal down on top of the glue I use a round type balloon and insert the straw down to just above the surface of the glue.this allows the air to escape and the balloon can fill every corner. put the balloon in the neck of the bottle and blow it up. I just use the cap to seal the air in the balloon by holding it over the edge. this allows the balloon to deflate when the bottles are opened. without air the critters cant grow and saves your glue. as I stopped woodworking because I cant stand very long I buy the glue in small bottles. yes it is more expensive but when it goes bad I dont loose it which would cost more to replace it so in the long run it is cheaper. OK I know it is a long post but I hope it helps. Saw this trick on a crafts show for mixing two-part epoxies. Squirt the two parts into a small zip-lock bag and knead the parts together until ready. Then clip off a lower corner and squirt it out like a cake decorator. Works great for placing epoxy in small amounts in tight places. Gaye… your site looks fabulous! We think of and pray for you and Shelley. Sending you both our best, from Wacko Southern California.